Do You Have Burning Mouth Syndrome? Burning mouth syndrome is a condition that leads to a chronic burning sensation in the mouth. The pain may or may not have some effects on the gums, tongue and lips, as well as the roof of the sufferer’s mouth. The intensity of the pain ranges from mild to severe, as if the mouth has been scalded. As far as the signs of this condition are concerned, having scalding sensations on your tongue, lips, or within the mouth clearly indicates that you have the condition. In some cases, the pain develops in the late morning, which eventually builds into the evening while eases at night. Burning mouth syndrome can affect any person, but the condition is more likely to be found among women during menopause. 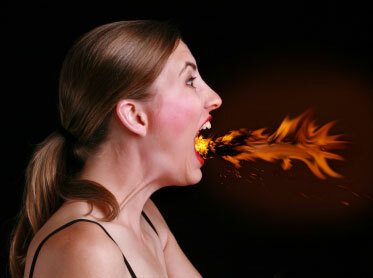 It was once believed that burning mouth syndrome resulted from a mental disorder. However, today, it is thought that anxiety and depression can be contributors to the development of the syndrome but the condition may also result from coping with chronic pain.